At Just For Kids, we strive to provide the care your child needs by creating fun, exciting before and after school programs that they can learn from. Our mission is to provide a safe place your child can come to before and after school as well as during any breaks that they may have in school. Just For Kids is a nurturing, recreational establishment that your child is sure to love every time they come! While with us, you can expect your child to engage in numerous after school activities that will stimulate their minds and allow for growth in becoming productive adults in society. By creating a fun atmosphere, your child will learn skills to help them in school and while studying, giving them the opportunity to have better grades. Success builds self-confidence and enables your child to not only excel in school but in many other aspects of their life as well. 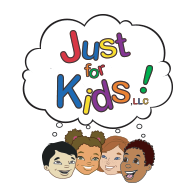 Just For Kids is a great child care center to introduce arts, technology, sports, and academic studies creating a strong educational foundation for your child. Through all of our after school programs, we set wonderful examples for your child to follow, encourage positivity, and show your child what it means to be a strong, committed, and determined individual. We are not just a child care camp, we are an institution that thrives on success. Whether you need child care for holidays, breaks, or before and after school programs, we strive to be the one place that you can count on for your child. Our goal is to provide the care your child needs while giving parents the reassurance that their child is in good hands. Just For Kids is the fun zone you can trust. Sign up today and give your child an experience they will love.